Mr Corey M. Christman serves as the Chief Executive Officer of Vethos, LLC - a Human Capital Leadership and executive strategy firm. He’s a retired Supervisory Special Agent, United States Air Force Office of Special Investigations and a veteran of Operation Iraqi Freedom. Since retiring in 2012, he’s worked within the veteran advocacy space and is currently partnered with several key leaders to raise awareness for mental/behavioral health for first responders – nationwide. He’s a professionally trained winemaker, he works within the Finger Lakes wine region of New York State and he will be launching his own veteran/first responder focused wine label in 2017. He’s the recipient of numerous awards for leadership, human resource management and innovation. In 2017, he completed the Executive Leadership Program, Cornell University, and he holds an MBA in entrepreneurship and BA in Criminal Justice. 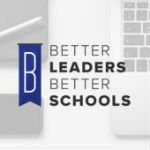 Corey Christman first appeared in Episode 101, “Do you understand the value of others” on the Better Leaders Better Schools podcast.